DNC has worst July fundraising numbers in a decade as Republicans build up 2018 war chest. RNC outraises DNC by more than 2-1. Democrats savoring President Donald Trump’s low favorability ratings and hoping for an electoral boost in the 2018 midterm elections faced some difficult news over the weekend, after the Democratic party announced its worst July fundraising draw in a decade, adding to the party’s debt. According to a report by the Democratic National Committee on Friday, the party raised just $3.8 million last month, a decline from $4.3 million in May, $4.7 million in April, and $6.5 million in March. While donations following an election cycle tend to decline towards midyear, this July represents the worst draw by the DNC since the $3.4 million raised in 2007. Adjusted for inflation, however, even 2007’s dismal numbers added up to more than 2017’s – equaling roughly $4 million in 2017 dollars. The Republican National Committee, by comparison raised $10.2 million this past July, The Hill reported, showing just a 6% drop off since May, when the RNC raked in $10.9 million. Overall, the RNC beat out the DNC by a more than 2-1 margin during the first seven months of 2017, raising $86.5 million to the DNC’s $42 million. The poor fundraising figures have left the DNC with just $6.9 million in cash on hand – compared to the RNC’s $47.1 million – and carrying a $3.4 million debt. The RNC held no debt as of July. 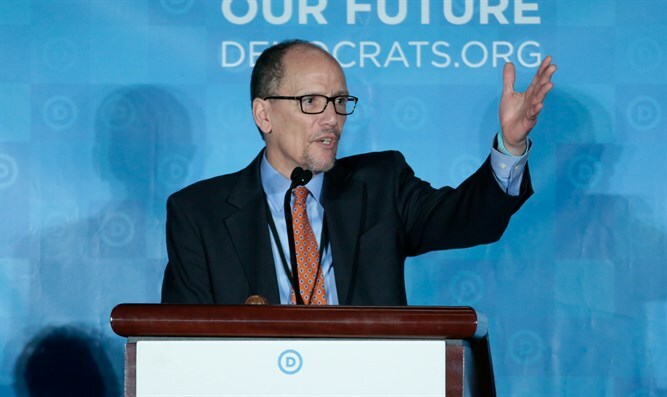 New DNC chairman Tom Perez, who filled the vacancy left by Florida Congresswoman Debbie Wasserman Schultz, has been under pressure from within the party to translate the groundswell of opposition to President Trump among progressives into a viable national operation capable of defending the party’s 23 senate seats up for election in 2018 and to perhaps retake control of the House of Representatives. While some Democrats have pointed to President Trump’s low approval rating – 38.4% according to the RealClearPolitics aggregate of polls – the DNC’s poor fundraising numbers suggest the president’s weak polling numbers do not necessarily suggest increased support for the Democratic party.